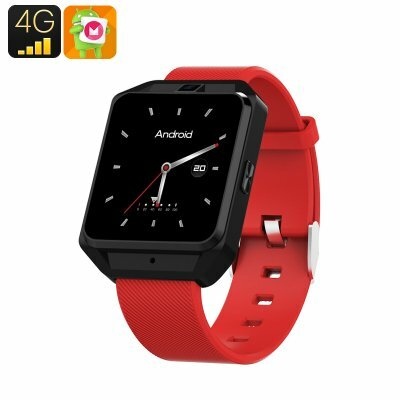 Successfully Added H5 Android Smart Watch - 4G, 1.54 Inch Touch Screen, Pedometer, Heartrate Sensor, Android 6.0, 5MP Camera 600 Mah(Red) to your Shopping Cart. With WiFi and 4G support, this smart watch keeps you connected at all times. You’ll be able to check your social media accounts and even browse the web on its crisp 1.54-inch display. With this phone watch at your wrist, you’ll always stay connected to friends and family. It comes with a 600mAh battery that will get you through any day of regular usage. Therefore, you’ll never have to worry about running out of juice. Simplified Chinese，Traditional Chinese，English，German，Spanish, Italian，French，Portuguese-Portugal、Portuguese-Brazilian，Russian，Indonesian, Malay, Polish,Vietnamese, Hebrew, Arabic, Persian, Thai,Burmese, Turkish, Japanese, Korean. Arabic: - مشاهدة الذكية - Chinese Simplified: - 智能手表 - Czech: - Chytré hodinky - Danish: - Smart Watch - Dutch: - Smart Watch - French: - Montre intelligente - German: - Smart Uhr - Hebrew: - שעון חכם - Hindi: - स्मार्ट वॉच - Italian: - Orologio Smart - Japanese: - スマートな時計 - Korean: - 스마트 시계 - Malay: - Jam tangan pintar - Norwegian Bokmål: - Smart Watch - Romanian: - Ceas inteligent - Russian: - Смарт-часы - Spanish: - Reloj inteligente - Thai: - ดูสมาร์ท - Turkish: - Akıllı izle - Vietnamese: - Smart Watch.